The truth is that even patients who brush and floss diligently every day often need a little extra help when it comes to dental care. After all, decay can be tricky, occurring in easy-to-miss areas, and other common problems like periodontal disease sometimes don’t even exhibit symptoms that are obvious to an untrained eye until they’ve progressed to potentially dangerous stages. It’s important to remember that maintaining excellent oral health doesn’t just benefit your smile – it also can make a real difference when it comes to your overall wellbeing and the quality of your life. That’s why receiving regular general dental treatment from Dr. Sean Bannan and our team is highly recommended! Here in South Daytona, we work hard to provide our patients with kindness, comfort, and professional care that’s always exceptional in quality. Your first appointment with us will consist of a comprehensive visual exam. During this time, we’ll carefully and thoroughly inspect your teeth and gums for any signs of potential problems, including decay, structural damage, and inflammation. 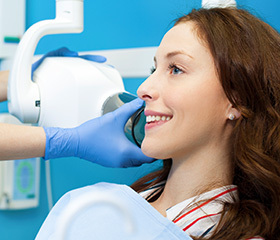 We’ll also take a full set of dental X-rays so that we can gather even more precise information. Once we’re familiar with your condition, we can create a plan of dental services that you will need to receive in order to return your smile to full health. As another part of your routine care, one of our hygienists will provide a thorough cleaning that will help prevent cavities, gingivitis, and other common oral health problems from forming, while also leaving your mouth feeling fresh and clean. Periodontal disease (also known as gum disease) starts out simply – maybe your gum tissue bleeds a little or seems puffy. However, what most people don’t know is that this infection is one of the most common health problems for adults, not to mention the leading cause of tooth loss here in the United States. Here in South Daytona, our team offers diagnostic help and revitalizing therapy options to get rid of gum disease as soon as possible. The most common area in the mouth for cavities to congregate is the chewing surfaces of back teeth. These areas have deep grooves and pits that are big magnets for food particles and infectious bacteria, and what’s worse is that they’re hard to reach for young children who are still figuring out how to brush and floss. At Water’s Edge Dental, we want to give these patients a helping hand with dental sealants. These tough pieces of safe, plastic-based substance are applied as a film over the teeth, and they’ll create a barrier that blocks out decay-causing agents, resulting in fewer cavities and healthier smiles. Bruxism (more commonly referred to as teeth grinding) is a common oral health problem that can cause worn-down teeth, jaw pain, and other unpleasant symptoms. What’s worse is that many patients don’t even realize they have it! Most cases of bruxism only occur when a person is sleeping and unaware of the damage they’re doing to their smile. 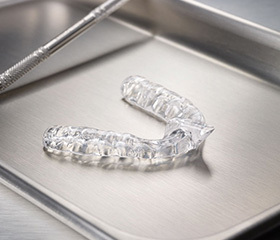 Here in South Daytona, our team will keep an eye out for tell-tale signs and provide a custom-made nightguard when needed, which can protect the rows of teeth from harmful contact and help you rest easy. 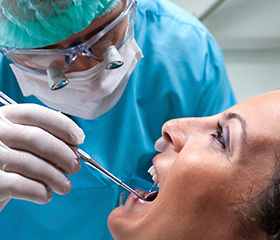 Oral cancer screenings are an essential part of all our checkups, and for good reason. Tens of thousands of new cases are being discovered every year, with only roughly half of these patients surviving more than five years past their diagnosis. Oral cancer caught at very early stages, however, has a high rate of recovery. Our team takes this responsibility seriously, and we’ll be sure to let you know if we discover any strange lumps, suspicious sores, or discolored spots in your mouth that may be caused by cancerous/pre-cancerous cells. Fluoride is a mineral that can be found in countless oral hygiene products, as well as the water that most likely comes out of your faucets at home. This is because research has shown that the presence of fluoride attracts other fortifying minerals to tooth enamel, remineralizing weakened areas and strengthening the enamel over time. Our team can provide professional applications during checkups for patients in need. While we mostly recommend this service to children, adults who are prone to tooth decay may also benefit from it. Whether you’ve been a patient of ours for years or you’re on vacation here in sunny Florida and end up cracking your tooth, Water’s Edge Dental is here to provide reliable emergency care in record time. We can relieve your pain, provide first-aid assistance over the phone, and even provide you with tips on how to avoid similarly scary situations the future. It’s never too early to get started on enjoying excellent oral health for life, which is why our team is always happy to see whole families here in South Daytona. Dr. Bannan’s kind and comfortable approach will be a great fit for your special son or daughter, and our services include several kid-friendly options that will help their smiles grow up strong and confident.